#CLMOOC #DailyConnect: Where’s Your Edge? Earlier in a Connected Learning experience, Howard Rheingold shared these words that resonated with a lot of people (and it has been retweeted often). 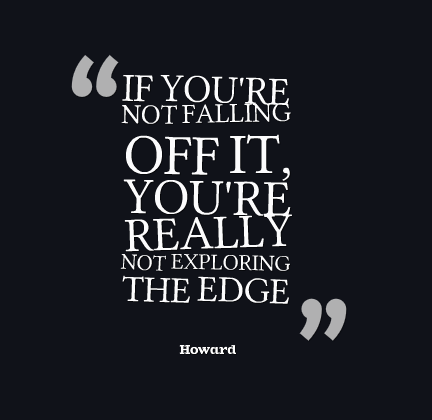 For today’s Daily Connect, explore Howard’s idea with a focus on where your own edge is located. How far do your toes go over the edge? Since this is all about connections, how do you either jump off the edge with support of colleagues or who do you end up leaving behind?